Flowers set the tone of your event. They bring it to life with all of their beauty and beautiful designs. Lindenhurst Village Florist wants to provide exactly that for you through our flowers. We have a keen eye for detail and will make sure everything is exactly how you've pictured. Your flowers will tell your event's story. Don't forget flowers at your next shower! For the new bride-to-be or mother-to-be, accenting her shower with gorgeous seasonal blooms makes it much more special. Lindenhurst Village Florist wants to make your shower truly special with beautiful floral arrangements and centerpieces. Parties happen all year round. No matter the holiday, make sure to remember your decoration! Flowers truly make a statement and are easily designed to fit the occasion. 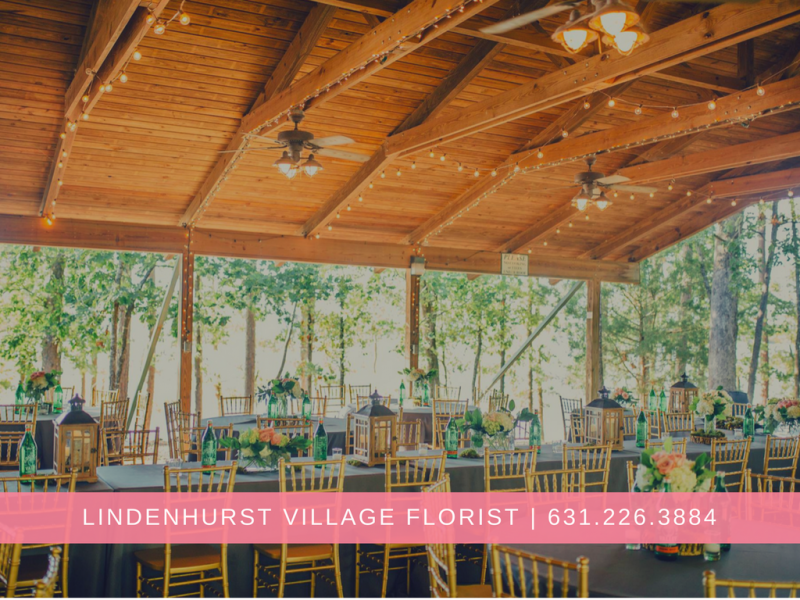 For a successful soiree, they are an absolute must, especially when they come from Lindenhurst Village Florist . Flowers tell your story. They capture the color scheme, theme and even feeling you're trying to convey. You need a florist who will go above and beyond to understand you and your party. Lindenhurst Village Florist will deliver flowers with style, panache and impact.